Effective Bird Control and removal - Wildlife Solutions, Inc. Whether there is a large flock of geese leaving behind droppings or a family of chimney swifts living in your chimney, the team at Wildlife Solutions, Inc. has you covered. You can rely on us to remove the offending birds and control the area, so other birds don’t become a problem. Depend on our licensed and insured business, which is owned by a certified wildlife biologist, for bird control and remove from your property in a safe and eco-friendly manner. Birds can be loud and cause your property to become an eyesore, which can bring down your property value. 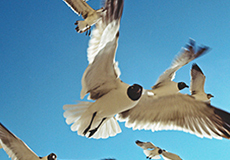 With over 30 years of combined experience, our staff is trained to solve even the toughest bird problems. Let our knowledgeable professionals help you so birds don’t make a mess of your property anymore. 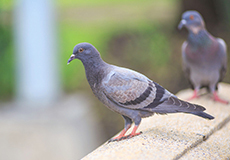 You’ll love our competitive pricing on bird control services. Insurance work is also welcome. When you need experts for all types of wild animal control, turn to Wildlife Solutions, Inc. You can also depend on our over 30 years of combined experience for forestry management services. © 2017 Next Level Studio. All Rights Reserved.